Ireland’s leading provider of reliable, cost effective and beautiful home lifts. 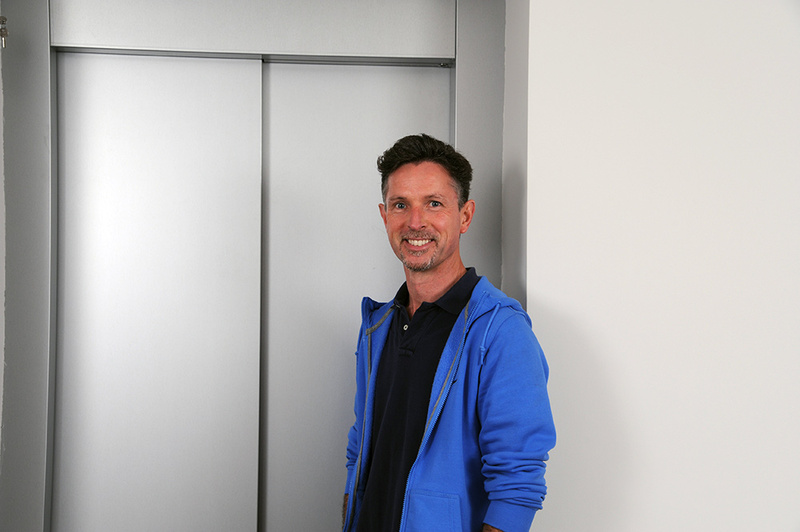 When selecting the best lift for your home, there’s lots to consider! On this page you’ll find a list of all our platform lifts along with their key technical features and specifications. In a hurry? Talk to one of our team today on 061 922 903. 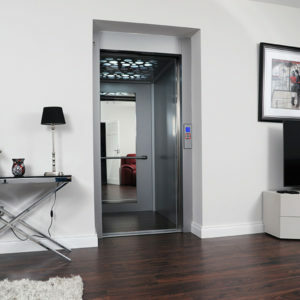 Premier Lifts introduces the innovative ECO700H home lift, suitable for both Public Access and Residential/Home environments. Designed to the Machinery Directive 2006/42/EC and meeting Part M of the Building Regulations. Available in over 200 different styles, the unique ECO700H has automatic telescopic sliding doors. Click through for technical specs, drawings, and product gallery. This platform lift is suitable for residential and commercial property, it can support a maximum weight of 400KG (or 5 people) and it can elevate up to a height of six floors. 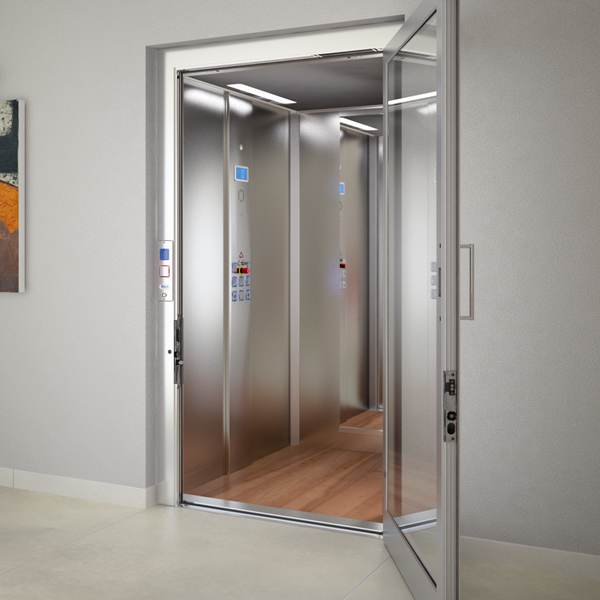 The key feature of this lift is that this lift has a swing door and is suitable for very low headroom. If you are retro fitting into a house, this might be a more suitable model for tighter spaces. Finishes can be customisable – there are lots of cabin colours to pick from. Because it’s a platform lift, this requires no pit, and so is easily installed into many different spaces. All the machinery is stored within the lift shaft, so there is no requirement for a machine room. 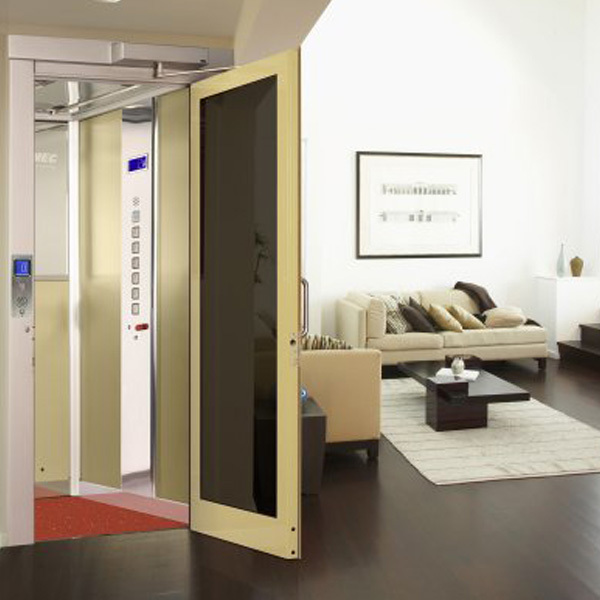 This is the ideal elevator for private houses and almost all commercial buildings. It perfectly matches with the installation environment and can adapt to a limited space, offering a high balance between design and easy use. 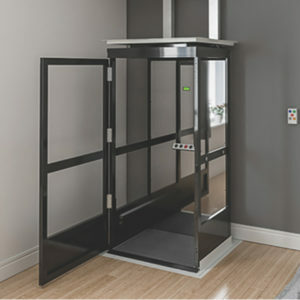 This platform lift is very similar to the ECO600, with a hydraulic drive system and a swing door as standard. It can have a slightly smaller door if needed, if you have a smaller footprint. 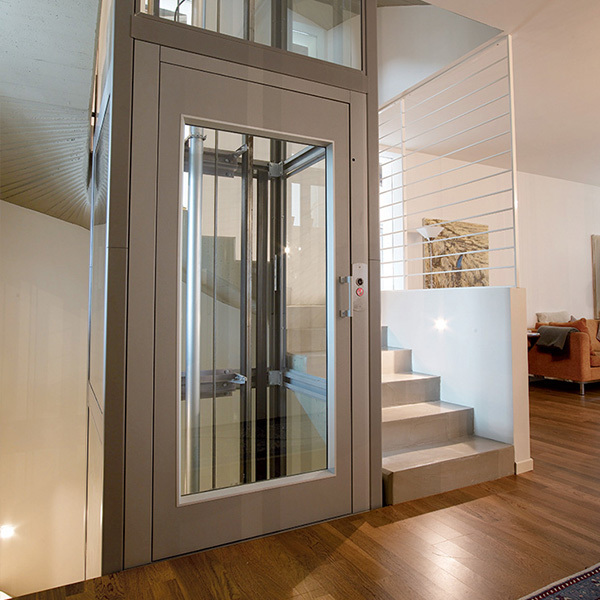 This lift has a hydraulic drive system which means that if you’re restricted on space, it may be more suitable for home lifts where space is a challenge. It can support a maximum weight of 400KG and it can travel up to 8.5 metres. Because it’s a platform lift, this requires no pit, and so is easily installed into many different spaces. Client: Enda Coleman. Location: Portumna. Lift Type: Home Lift. 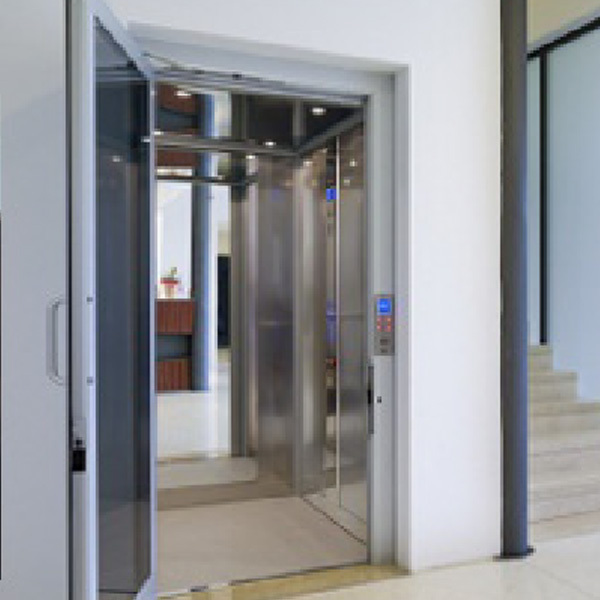 Premier Lifts supply an extensive range of passenger & platform lifts, complying or exceeding all relevant legislation and building regulations. Premier Lifts have all the expertise and finesse that make our platform lifts stand out from the rest. The entire range is built in accordance with the Machinery Directive 2006/42/EC, BS EN 81-41, BS6440 and all of our lifts have been type tested by notified body and are CE marked.